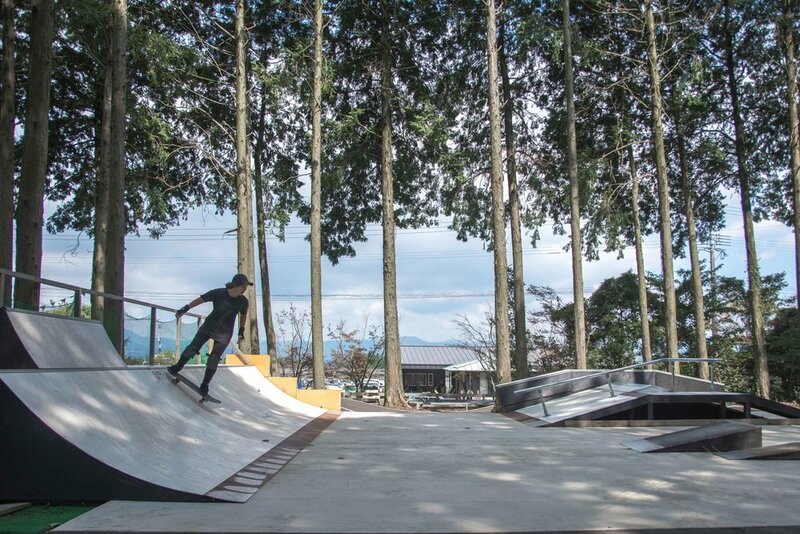 Upon entrance of the park there is a good size mini ramp built under a shelter for use on rainy days. 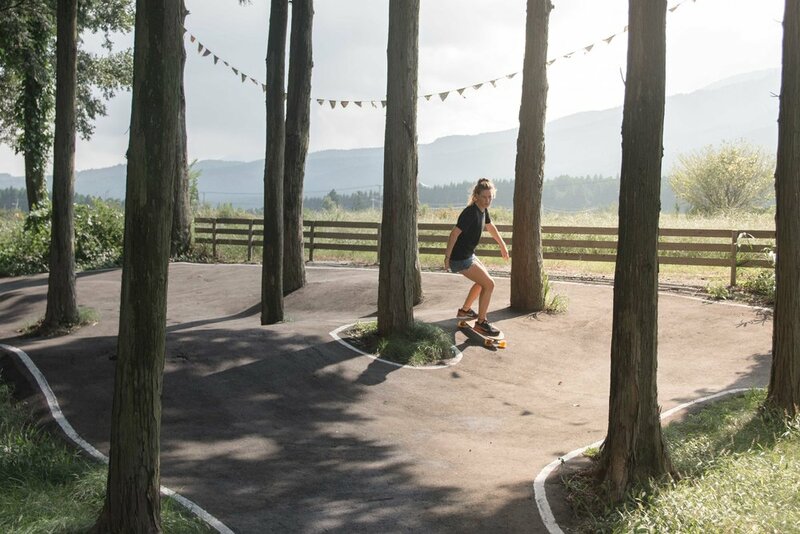 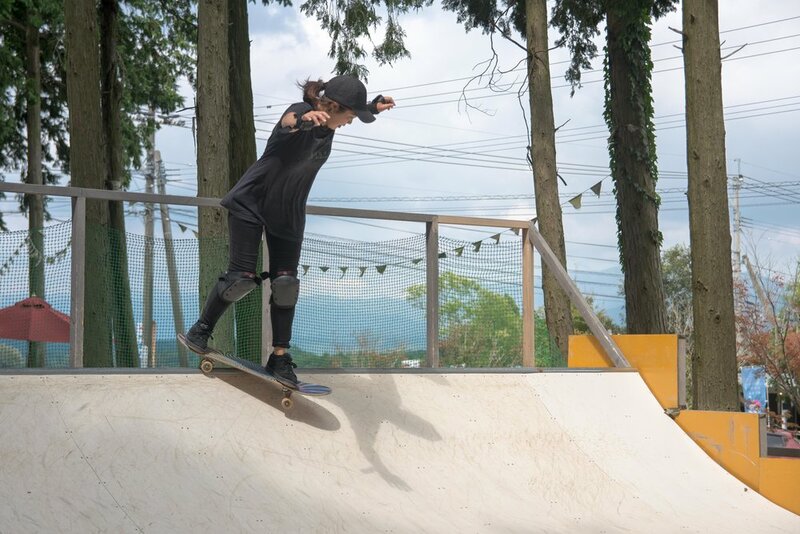 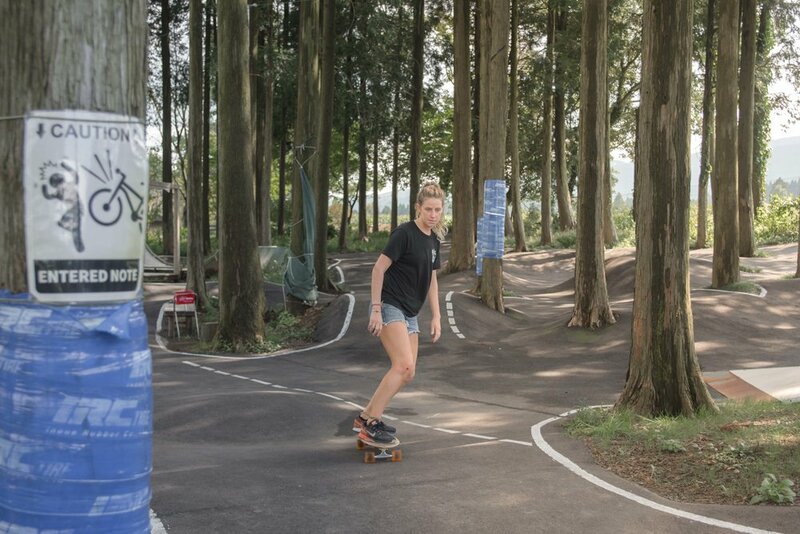 The main part of the skatepark is built on a flat section in the forest and has a good selection of features. 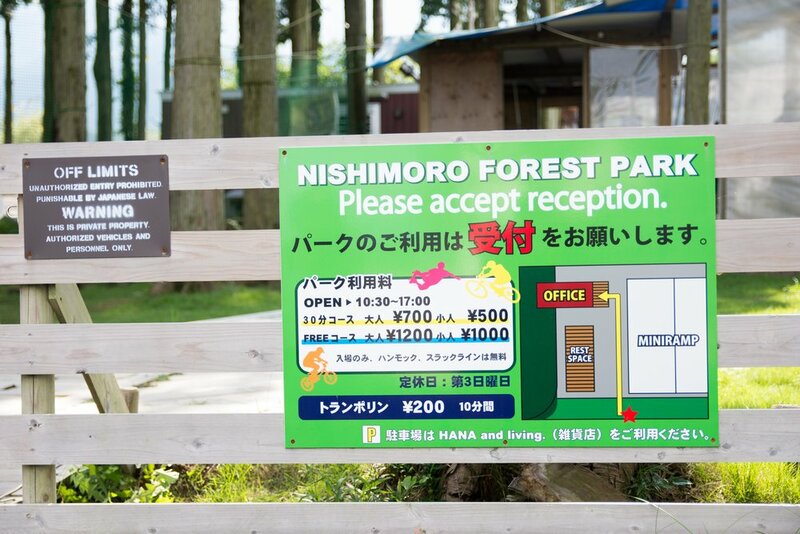 There is also a trampoline, slack-lines and various hammocks located around the forest park.